Another one of the shots I grabbed just shortly before leaving the sunny Okanagan I called home for the last few years. 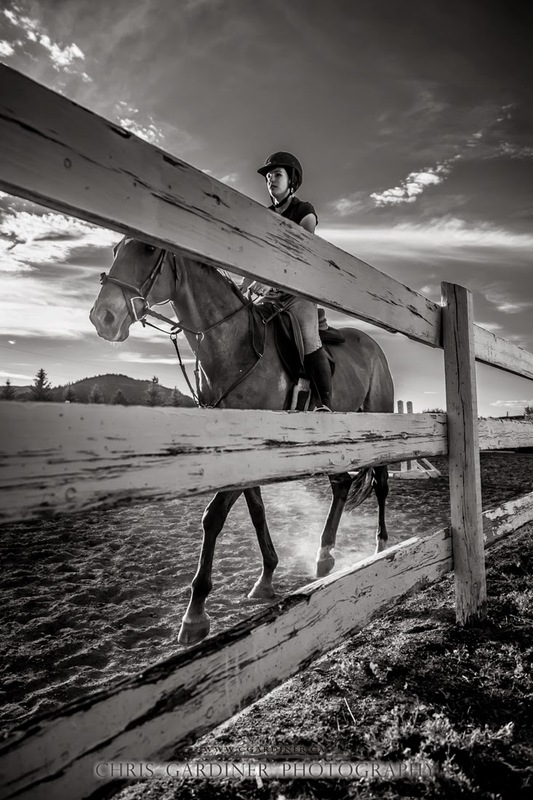 This is Steph at a late afternoon equestrian practice in the ring. I loved this image as soon as I captured it, and it looks great in a colour version too. There was a big white building just out of frame on the left that put a bunch of nice fill light into the scene. Sometimes there is as much to be said for what is outside the frame, as there is for what's inside.